My first Disney property review that I'm going to write is of my favorite place so far. Disney's Contemporary Resort has just about everything that guests would look for in a pixie-dusted vacation. Keep reading to check out the pros and cons of my experience in this resort. Location - You can't beat the location of the Contemporary. I think that many people who book here do so for that reason. You can walk to Magic Kingdom (a big plus when the park is emptying after the fireworks), take the monorail to Epcot, and only require busses when traveling to Hollywood Studios and Animal Kingdom. Room views vary a great deal. If you're willing to pay the really big bucks, you can get a room with a view of the Magic Kingdom fireworks! We had a room on the ground level in the Garden Wing and had a perfect view of the Electric Water Pageant as we were lying in bed. Dining - Another can't beat in my experience so far. Contempo Cafe offers Quick Service options while The Wave is a nice, quiet option for a sit down dinner. Chef Mickey's is an almost must do for anyone with little kids and it's great to have a character breakfast without worrying about the hectic morning travel around Disney properties. Last, but certainly not least, adults can't miss eating at California Grill. I'll review this fabulous restaurant in a future entry, but trust me when I tell you that it is not to be missed on a Disney trip. Theming - This is where Contemporary will probably lose some points in the opinions of various people. Whereas places like Art of Animation and All Star Movies are over-the-top Disney (almost too much for my taste), and Caribbean Beach and Port Orleans transport you to another time and place, Contemporary is very modern. Disney touches are subtle in the decor. I really enjoyed it actually. I felt like I was in Disney without having 15 different characters watch me while I sleep. Likewise, the pool area is not very exciting. Don't get me wrong. The pool was nice and included a water slide and splash area. However, I can see where kids would not be impressed with the look and feel of the Contemporary. Rooms - You are definitely getting a higher quality room for your higher price tag at the Contemporary. Having stayed at value, moderate, and deluxe resorts, I can honestly tell you that the quality of the bed lines, towels, mattress, etc are all much better at the deluxe resorts. 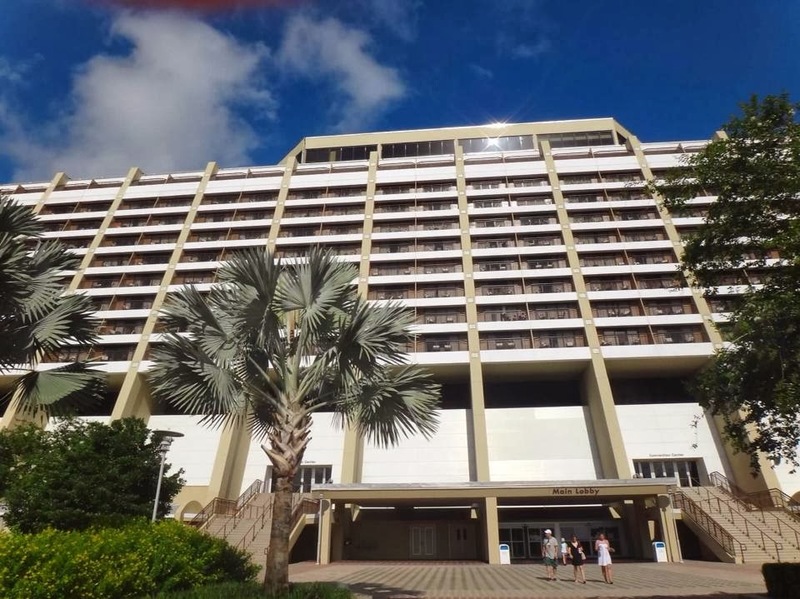 The Contemporary also boasts some of the largest non-DVC rooms on property. We had two queen sized beds, a full sized crib (they brought us that rather than a pack n play for Brody), 2 dressers, desk, and a sofa in our "standard" room. We had so much extra space in the hotel room that we left our very large jogging stroller (BOB Revolution for those of you in the stroller crowd) set up in the room and still had lots of extra space to walk around and lay out suitcases. I think this was the largest "standard" hotel room I've ever stayed in. The only thing holding me back from giving this an A+ is the theming. 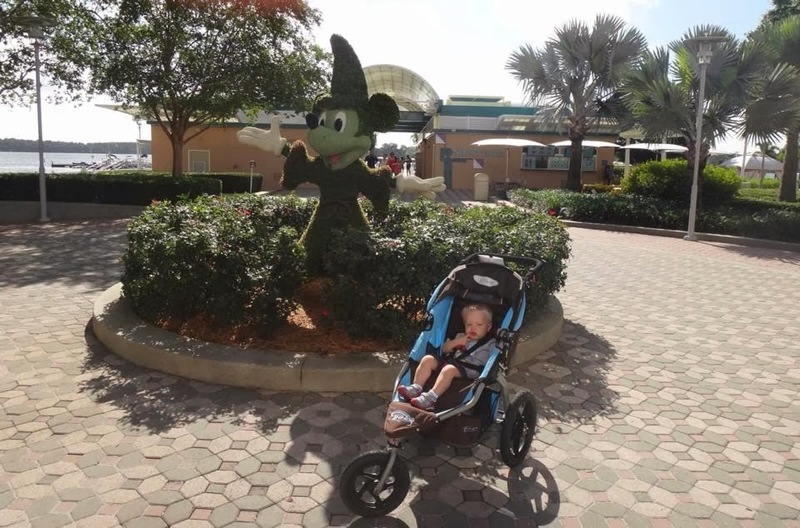 In my opinion, it's totally worth the extra money to stay up close to the magic when you're traveling with a little one that needs breaks / naps. I would probably opt to stay on the monorail line in the future with a stroller aged child, but I can also see saving money and getting a little more Disney theming when traveling with a school-aged child.